With due respect, as an organiser I totally agree with Mr. O’Reilly. 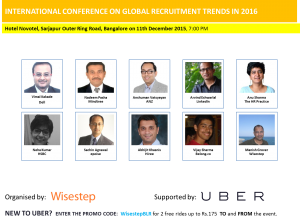 This is exactly what we did to make the Wisestep‘s International Recruiters Conference on “Global Recruitment Trends in 2016” an A-list event. Much to our delight, we had an impressive turnout (75+ delegates and 8 speakers) consisting of diverse slate of guests and speakers, who represented each node of today’s recruitment value chain. The delegates represented companies like ANZ, Accenture, Wipro Technologies, Mindtree, HCL Technologies, Intel, Capgemini, SAP, OLA, Mindteck, etc. 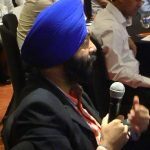 On top of that, we had guests from over 40 IT staffing firms, such as IDC Techonologies, The Head Hunters India, Vimtra Ventures, Real Soft Inc.,to name a few. What’s more is that, we witnessed 4 recruitment technology companies (Epoise, Hiree, LinkedIn, and Belong.co), present their technologies to the audience. 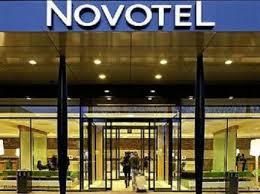 The detailed Conference agenda can be found here. Like our previous events, this event had the “perfect atmosphere“– incredibly refreshing, insightful and participative. 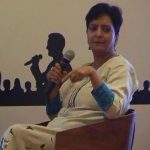 To everyone’s surprise, on Friday December 11th, the Bangalore traffic failed to live up to its infamous reputation – bringing in our guests 1 hour before the scheduled time! Warmed up with High Tea, we kicked off the Wisestep conference with the Panel Discussion on “Global Recruitment Trends in 2016” rather than the key note speech by Mr.Vimal Kakade (Global Director, People Supply Chain and Talent Transformation at Dell), who missed the conference due to severe throat infection (we wish him a speedy recovery!). Before I write about the panel discussion, I would like to express my gratitude to the panelists to accept our invitations! After weeks of extensive brainstorming and email contacts, we had invited – Mr.Anshuman Vatsyayan (Head of Global Markets Technology, ANZ), Mr.Nadeem Pasha (Associate Director, Talent Acquisition, Mindtree), Mr.Arvind Eshwarlal (Head of Sales, Staffing and Search at Linkedin), and Ms.Anu Sharma (Founder, The HR Practice, Ex global HR Head, Igate), to be our 4 panelists at the event. 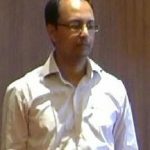 Mr. Manish Grover (Director, Wisestep), was the conference host and panel moderator. 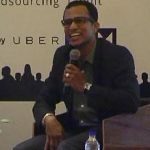 Personally, I found his moderation perfect – given the tight schedule of 1 hour, with 4 seasoned panelists, on the vast topic of Global Recruitment Trends in 2016. I think he did an amazing job by designing the panel discussion in an engaging role play format!! Sourcing – there is a huge challenge of finding the right “fit” from a limited supply of candidates in specific/niche domains. Filtering – the problem of resume overload of not so perfect candidates. Failure at any of these 3 stages, results in loss of time and money, thus, forcing the company to re-start the whole process from square one. 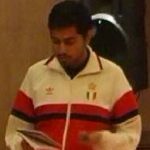 Nadeem (who played “the recruiter”) further described recruitment as a “binary process” which has only 2 possibilities – the candidate joins (1) and the candidate does not joins (0). He highlighted the importance of building an employer brand as an “Employer of choice” rather than as an “Employer of chance” through consistent engagement with the candidate at each step of recruitment. Furthermore, owing to tight budgets “cost effective hiring” has made its way in the recruitment process. Thus, making extensive networking and referral process as the tools to win the talent war! 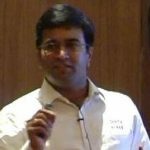 Adding to this, Arvind (who played the “technology guy”) mentioned that all the 3 problems listed by Anshuman are the ones LinkedIn is capable to solve. He cited innovative examples of company’s going out of their way to engage with candidates by sending them cakes and flowers, post rolling out the job offer. Search firms will become more important in domain specific and leadership hiring. Owing to technological advancements, search firms will evolve from their traditional sourcing role to drivers of process efficiencies in the recruitment process. SMAC (social, mobile, analytics, and cloud) will lead to overall recruitment process innovation. Post the panel discussion, the floor was opened for questions from the audience. There were questions about, why recruitment is not part of marketing and what is the key factor that pushes the candidate to join the organisation. All the panelists actively contributed to the Q&A. Recruitment is definitely a part of every company’s marketing – for instance companies participate in multiple events to talk about their company culture. Salary is the biggest motivator in attracting the best candidate. “DNA match” between the company and the candidate is the most important indicator of candidate’s fit in the company. 360 degree engagement with company personnel during the recruitment cycle actively engages the candidate. 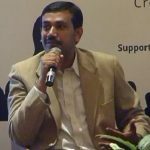 LinkedIn: Arvind Eshwarlal answered questions about LinkedIn and how LinkedIn platform has been developed and evolved keeping the individual user in mind and not the business. He emphasised that inkedIn tracks user activities be it a normal user or a recruiter and provides value depending on each user’s actions. Epoise: Sachin Agrawal presented the epoise app that enables users to search jobs and record video interviews on mobile. This enables companies to shorten the time to short list candidates and gives candidates the power to take interviews at their convenience. 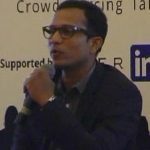 Hiree: Jeetu highlighted how Hiree helps active job seekers find jobs super fast and helps recruiters to shortlist the right candidates on the go via its Artificial Intelligence (AI) based algorithms. 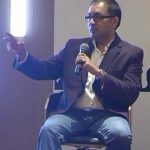 Belong.co: Vijay Sharma highlighted how Belong.co leverages data based recommendations to hire the right talent at the right time. Using Belong’s sophisticated AI based algorithms employers can find right candidates in a very short time which leaves them to focus their efforts more on candidate engagement than sourcing. How Does Recruiter Crowdsourcing Work? Companies:Establishes Employer Brand, Gives access to a huge pool of on-demand talent for both niche and common skills and deeper job promotion. Staffing firms: Higher Recruiter utilisation, Find new client mandates with Zero marketing expense, Expand the business in new geographies and business verticals from the comfort of their home office. Highly Networked Individuals: Can leverage network to get rewards in exchange of referrals through social media, emails etc. What’s in it for Staffing Firms? The staffing firms/vendors/freelance recruiters get to keep the lion’s share of revenue at each successful job placement (75%). Also, they save money on client acquisition or marketing. 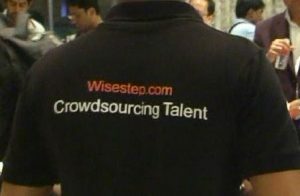 Post Wisestep’s crowdsourcing recruiter partner model presentation, the last item on the agenda was networking dinner. The dinner provided the guests an opportunity to chat with each other, speakers and Wisestep team. 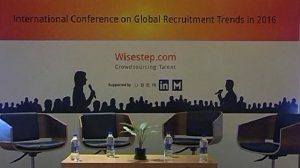 Already more than 10 staffing firms (in US and Europe IT recruitment space) are ahead in the recruitment game by signing up for Wisestep Recruiter Partner Program at the conference,itself. In summary, simple chat with other guests provided an opportunity to nerd out with professionals in the recruitment industry, who know what each person is talking about and are equally passionate about making technology enabled recruitment process simple and more efficient! Are you an expert in US and Europe recruitment? If yes,then,do you want to be one step ahead in your recruitment game? If yes, then, we at Wisestep can help you!! We are offering 80% of revenue share (instead of usual 75%) for staffing personnel who attended the conference or sign up for Wisestep’s Vendor Partner program before 31st December’ 2015. Please NOTE: Wisestep has numerous job mandates for US and Europe IT and non IT roles. To express interest please fill the form. Else, write to me at anu.mahajan@wisestep-inc.com.